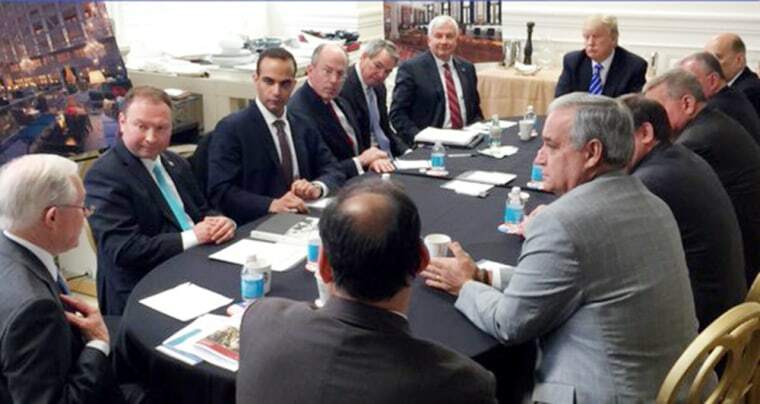 Papadopoulos pleaded guilty to lying to the FBI and has agreed to cooperate with the Mueller investigation. A former Trump campaign aide who pleaded guilty to lying to Special Counsel Robert Mueller's investigators will be sentenced by a federal judge in Washington, D.C., on Sept. 7. George Papadopoulos, who spent 11 months as an adviser to the Trump campaign, was arrested in July 2017, and pleaded guilty three months later. He agreed to cooperate in Mueller's probe of possible collusion between the Trump campaign and Russia. His plea agreement says the government will inform the sentencing judge of his "efforts to cooperate with the Government, on the condition that [he] continues to respond and provide information regarding any and all matters as to which the Government deems relevant." The Chicago native was little known when Mueller's office released documents in October 2017 revealing he had secretly pleaded guilty. Court documents said he lied about his interactions with a professor — later identified as U.K.-based Maltese professor Joseph Mifsud — whom the FBI suggested was an agent of Russian intelligence. In April 2016, the court documents say, the professor told Papadopoulos that the Russian government had "dirt" on Hillary Clinton, including "thousands of emails." At the time, it had not been publicly reported that suspected Russian intelligence agents had hacked the Democratic National Committee and Clinton campaign chairman John Podesta, stealing a trove of emails. The release by WikiLeaks of those emails, many of them embarrassing to Democrats, is widely believed to have helped Trump win the presidency. Trump cited WikiLeaks at least 145 times in the last month of the election.